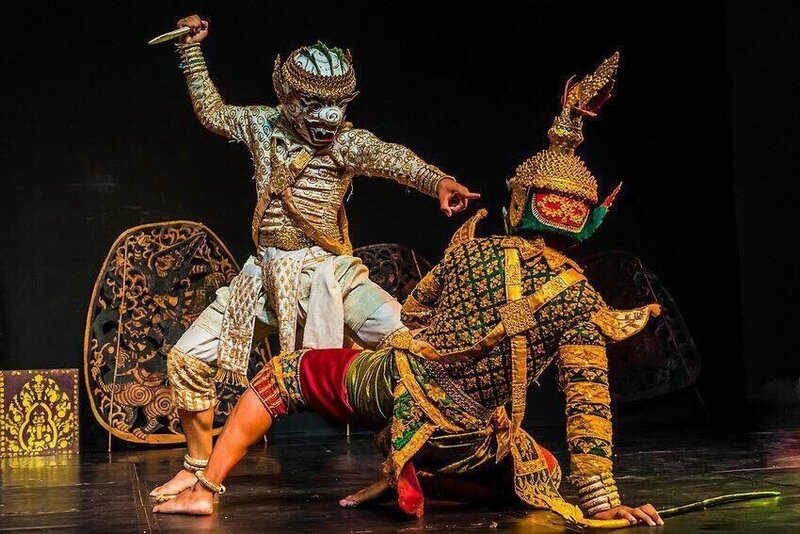 Lkhon Khol, a Cambodian masked dance-theater, was inscribed on the UNESCO's prestigious list of intangible cultural heritage in need of urgent safeguarding on Wednesday, said a statement from Cambodia's Ministry of Culture and Fine Arts. The inscription was made during the 13th session of the Intergovernmental Committee for the Safeguarding of the Intangible Cultural Heritage in Port Louis, Mauritius, the statement said. "The decision of the UNESCO-Intergovernmental Committee is a new national pride that was born of the government's efforts under the wise leadership of Cambodian Prime Minister Samdech Techo Hun Sen, who always gives high priority to the nation's cultural heritage," it said. Hun Sen also posted a message on his official Facebook page, expressing his congratulation for the listing. Cambodia filed its document to the United Nations Educational, Scientific and Cultural Organization (UNESCO) for the registration of Lkhon Khol Wat Svay Andet, better known as Lkhon Khon, in March 2017. Lkhon Khol Wat Svay Andet is practised in one community surrounding a Buddhist monastery, Wat Svay Andet, located about 10 km east of Phnom Penh on the Mekong River, and is performed by men wearing masks to the accompaniment of a traditional orchestra and melodious recitation, according to the document. The specific aim is to propitiate the Neak Ta (guardian spirits of a place and its people), thereby protecting and bringing prosperity to the community, its lands and harvest, it said. The document added that when Lkhon Khol is performed, spirit mediums are present and facilitate interactions between the Neak Ta, performers and villagers. When the spirits are satisfied with the performance, villagers are blessed by them; otherwise, the dancers stop, the music continues, and the audience falls silent and carefully listens to the spirits, it said.